At 7:30 pm transfer from your hotel to the Hanoi train station for boarding at 9:15 pm. 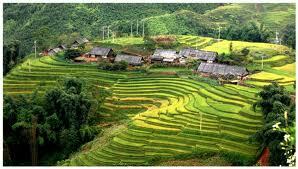 You will be in shared AC soft sleeper cabins of 4 to travel North to Lao Cai town. The next morning: The train arrives in Lao Cai at about 5:00 am where your Sapa Pathfinder Travel guide will welcome you. Look for your full-name sign when you exit the train station. Then take a morning drive through the clouds by car / van to Sapa (about 1.5 hours). 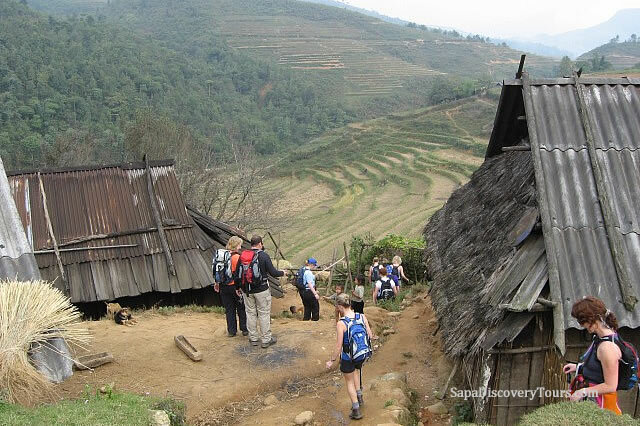 When you arrive in Sapa you will be taken to Hotel for a morning shower & breakfast, Early check in the hotel of your choise if the room here is available, then prepare for the trek as detailed below. 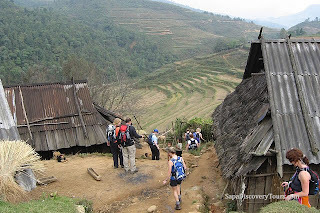 12 km by jeep then trek down hill to Ta Van village of the Dzay minority. Follow along the side of Muong Hoa stream to Giang Ta Chai village of the red Dzao where we have lunch at a local family. After lunch, we keep hiking to Ban Ho, the village lies in the beautiful valleys, home-stay at the Tay minority house to experience the architecture of their traditional house on stilts and spend time beside them to exchange the cultures and knowledge. After Breakfast we spend an hours walking to explore Ban Ho, a large village of the Tay peoples who live on spacious wooden houses built on stilts and very well organized before ascending uphill to Nam Toong village of the Red Zao. The trail of this part is really steep but the higher you reach to, the more stunning scenery will open in your sight. The village locates on the top of a hill and almost isolated and the houses are rudimentary but the peoples are very welcoming. After visiting Nam Toong, you will take another trail back to Ban Ho village an then pick up for transferring back to Lao Cai by Jeep. 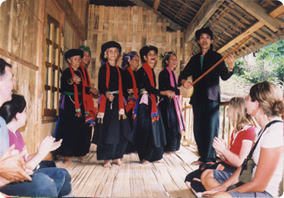 Home stay sharing with the Tay minority in Ban Ho village. Meals as specified (2 breafasts, 2 picnic lunches, 2 dinners).